A conservative heavyweight in South Korea has accused the incumbent Moon Jae-in government of running a "facade of peace between the South and North," warning against the current optimism surrounding inter-Korean relations. 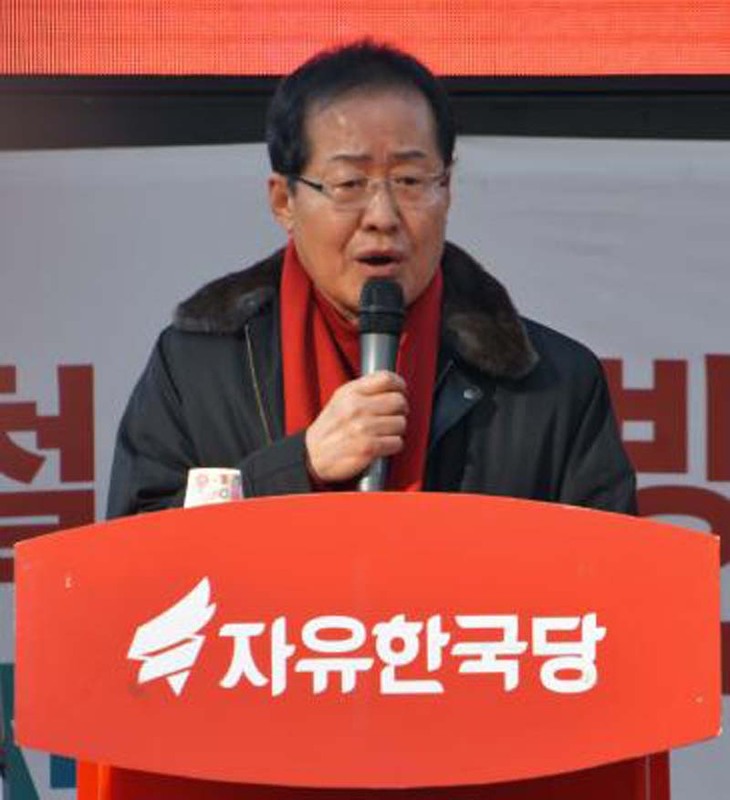 Main opposition Liberty Korean Party chairman Hong Jun-pyo wrote on his Facebook page on Sunday that the recent developments in the two Koreas' relations are not to be trusted, saying it correlates with the Munich Conference in 1938. The Munich Pact was signed by British and French prime ministers Neville Chamberlain and Edouard Daladier with Nazi leader Adolf Hitler, handing over Sudetenland in Czechoslovakia to avoid war. [post_ads]"After returning from the Munich Conference, French Prime Minister Daladier, saw the crowds of Parisians greeting him and told his aide that they were idiots," Hong wrote. "We'll see who is right in a couple of months," he said. His remarks come as the government prepares for the summit between President Moon Jae-in and North Korean leader Kim Jong Un on Apr. 27 at the truce village of Panmunjeom. The two Koreas held working-level talks this week, which South Korean media believe were on the detailed schedules, protocol and media coverage of the summit. Officials, however, refused to give details until the final decisions have been made. A second round of working-level discussions is widely speculated to be held on Apr. 18, Yonhap reported. Ahead of the summit, which Seoul hopes will serve as a milestone in efforts to achieve denuclearization of the Korean Peninsula as well as peace and improvement in cross-border relations, a presidential official told reporters Friday that, after a subsequent summit between U.S. President Donald Trump and Kim Jong Un, there could be a trilateral meeting with Seoul, and possibly a resumption of the six-party talks, if necessary.